A single record released one raw, mute, inert minuscule vinyl pellet at a time. When I walk I look down, looking to place the pellets, to furtively insert them in the landscape. They might last but one second there, or might incrust themselves permanently somehow. Either way the releasing is done. A picture commemorates each occasion. There have been 3119 released as of September 2015, including 225 gifted, 33 sold, 2 sent and 2859 left in sundry locations: sidewalks, ledges, seats, counters, banisters, sinks, doorbells, mailboxes, monuments, parking meters, keyboards, snow, posts, fire hydrants, frames, ashtrays, carpets, flowers, leaves, books, artworks, appliances, signage, dishware, food. In the Recoleta cemetery of Buenos-Aires, on the Eurostar, at the Venice Biennale, in Silo City Buffalo, on a Sol LeWitt, at the Helsinki airport, on the Mayor's desk at Toronto City Council Chambers, at La Scala in Milan, at the Meat Market in Melbourne, at the War Memorial in Ottawa. The project started in February 2012 and I'm not even halfway there yet, when 6644 will have been reached I will have released the 180 gram audiophile record. But in the meantime, it is simply in the process of releasing. The most prostrated record release event on record, a launch for the zealously patient, and for those keen on the barely imperceptible. In a sense, this is a procedure of going from form to form, and in that process a portrait of site is inscribed. 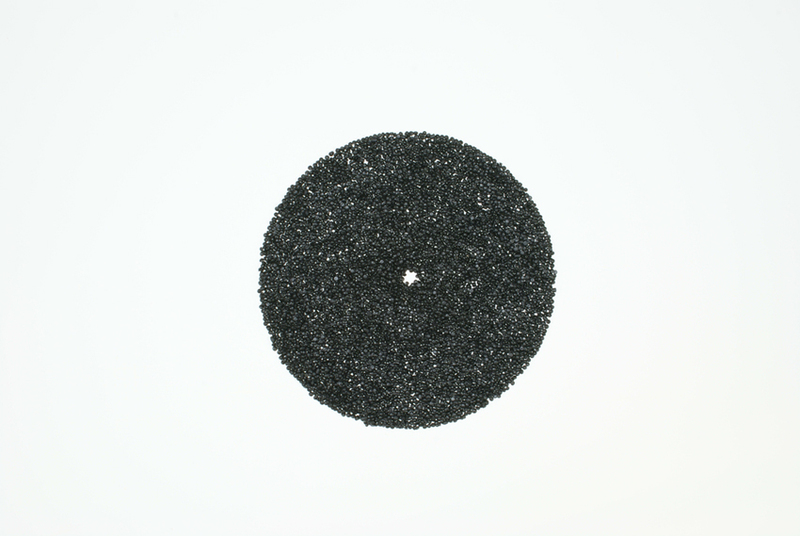 Each pellet is dismissible and insignificant on its own, but taken as an ensemble, and viewed as performative micro-sculptures, they offer a subtle but nonetheless incisive commentary on the state of distribution in media art, the speculative nature of collecting in visual art, and the shifting parameters with formats in the recording industry. 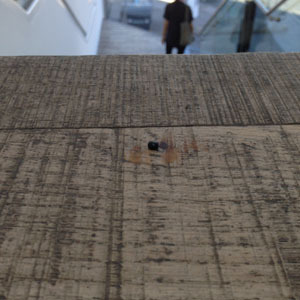 They also function as micro-events framing micro-encounters; they generate byte-sized recordings of bite-sized conversations with sites and the people using and activating those spaces. Record Release entwines fixed recording with unfixed processes.